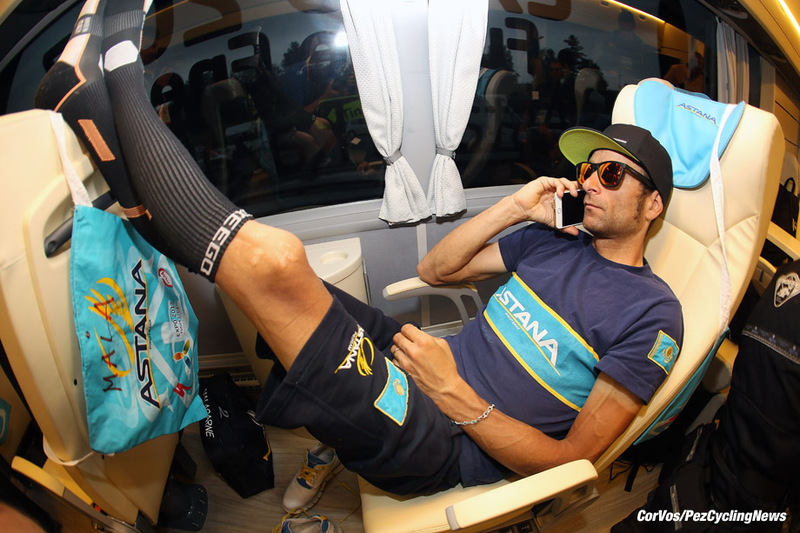 PezCycling News - What's Cool In Road Cycling : Lee’s GIRO Lowdown Finalé! The curtain has closed on the 2016 Giro d'Italia with an ‘unbelievable’ performance in the last stages by Vincenzo Nibali. They way the Italian champion went from sick to champion was 'incredible' and yes I think you know where Lee will be heading in this Final Giro Lowdown. But, are we wrong to question every performance? Did you leap for joy as Vincenzo Nibali achieved one of the most improbable comebacks in recent years to win this year’s Giro d’Italia? Or were you, like me, sat there in a state of uncomfortable numbness, not quite sure what you’d just witnessed? This is the state of things these days, when the seasoned cycling fan has three choices: watch and hope, watch and doubt, or not watch at all. Just whose fault is this? Everybody’s. 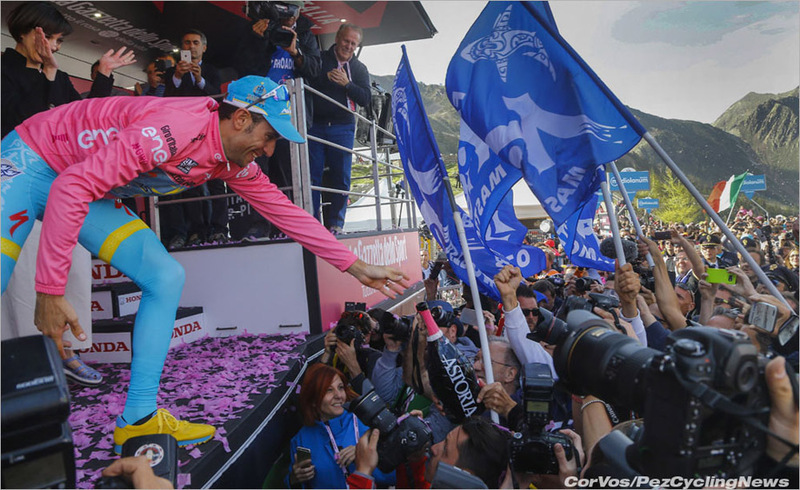 What was the secret behind Vincenzo Nibali’s amazing comeback at the 2016 Giro, a fightback that saw him claw his way from 4:43 down on the leader of the race with devastating attacks on his rivals over the final two mountain stages? A pep talk from Michele Scarponi, apparently. 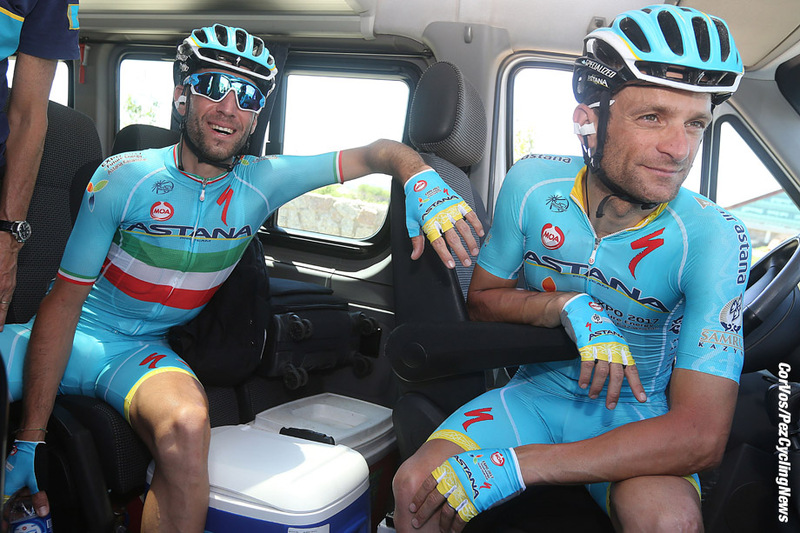 Scarponi is obviously headed for a career as a motivational speaker par excellence once he hangs up his wheels. 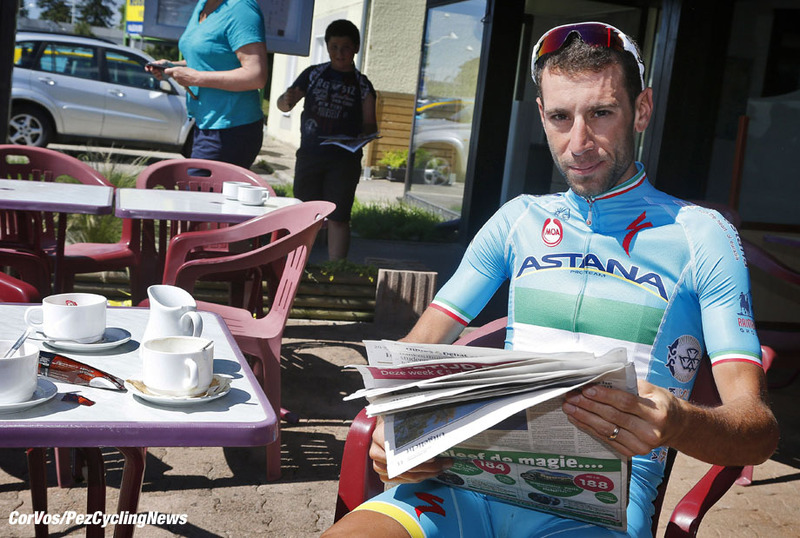 Before the race Nibali had pinpointed his lack of form over the past year, when he seemed to unable to rely on his usual predatory instincts, on too many late nights and a few too many pizzas as the reasons behind his erratic form on the bike. Looking at his record in Grand Tours alone, which I discussed in last week’s Lowdown, you’d have to say that Nibali is just behind Contador, on paper at least, as the most versatile Grand Tour rider currently operating. Nibali’s two Giro victories and a single win each at both the Tour and the Vuelta look a little lean next to Contador’s three Vuelta wins, two Tour wins and two Giro wins, but then Contador, in whatever context you wish to place him, is one of the most naturally gifted riders in recent memory, even if he did use unnatural means to boost those gifts. 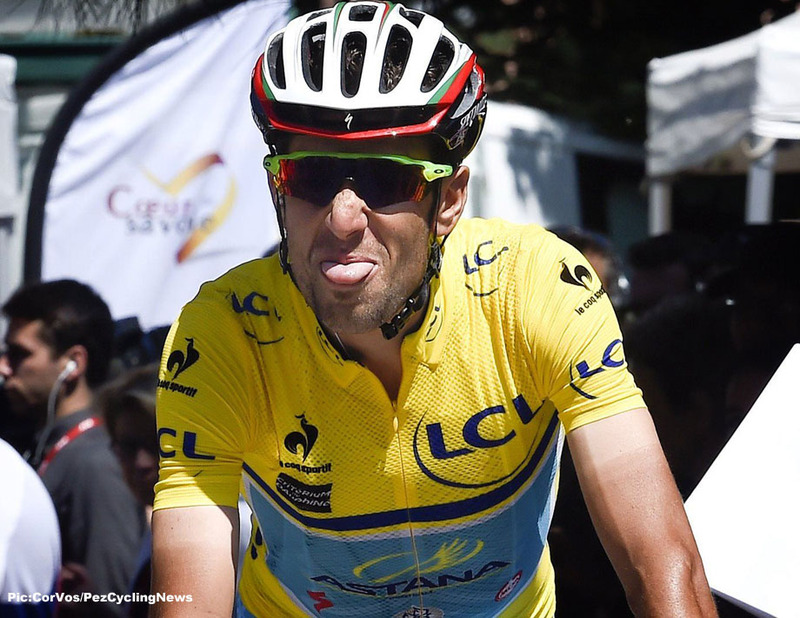 For me Nibali’s most complete win to date was his victory at the 2014 Tour de France, when he crushed all in the mountains, descended like a kestrel on the hunt for prey, won four stages and won the general classification by 7 minutes and 52 seconds, the largest margin of victory in the Tour in 17 years. Yes, his biggest rivals, Contador and defending champion Chris Froome had abandoned the race early on, but in terms of consistency and condition, this was the most well-rounded version of the rider they call The Shark that we had seen to date. 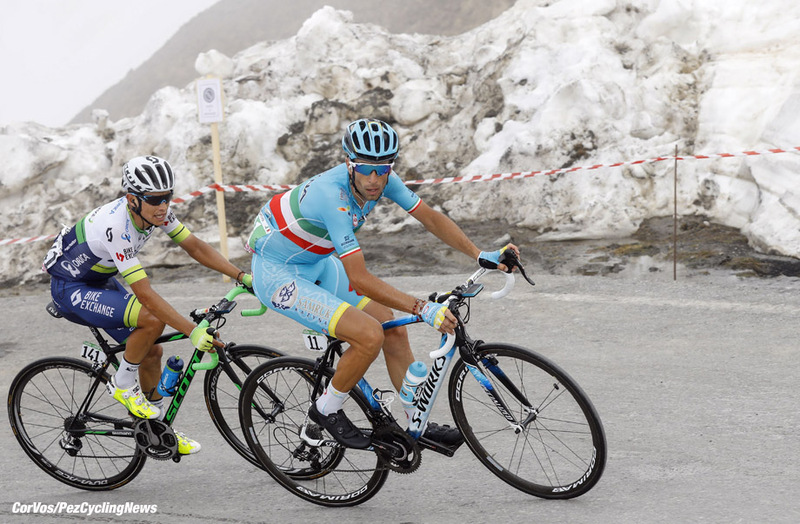 The Nibali of the 2016 Giro though was more the rider we have come to know, the rider that the Italian press love to pick over and chew on, criticizing him for his poor results - until he wins a Grand Tour, naturally. With this win he is back on the front pages again, his name is in lights and he will be the toast of the nation for a good few weeks at the very least. However, to comment on this year’s Giro d’Italia and to not place Nibali’s remarkable rides over the past three days, such as the win at Sant'Anna di Vinadio - of which the rider himself said “I do not even believe it” - within the context of the sport in recent years would be to deny the elephant in the room. Simply put, there will have been many a cycling fan out there watching Nibali’s phoenix-like transformation over the course of a few hours who, like Nibali, also could not quite believe it. This is not a case of judging someone guilty on the back of out-of-this world rides, and some will remark on Kruijswijk’s capitulation and Chaves’ lack of Grand Tour experience as significant factors in Nibali’s resurgence. However, to not acknowledge that many of us do not know who and what to trust these days after seeing extreme performances would be a dereliction of duty. It is not Nibali’s fault that I sat there shaking my head as he went from having a blood test to see if he was too sick to continue to the winner of the race in four days, but the fact is that I did sit there shaking my head, unable to believe what I was seeing. Why? Because our sport has been so grossly mismanaged - and by mismanaged I mean royally f**ked - by the powers that be and infested with cheaters from top to bottom for so long that it seems to me that there is no other possible reaction but a kind of bizarrely intrigued numbness to feats that have long been hailed without irony as ‘unbelievable’ and ‘incredible’. Have you noticed how the commentators now shy away from these adjectives? It’s because as soon as they utter them they are reminded of Landis, of Armstrong, of Rasmussen and of Riis, of too many others to mention. It’s because our sport, time and time again, ends up spewing out riders whose performances have been chemically fueled. It is because our society places such insane value - and it truly is insane - on winning at all costs, on ‘success’ and celebrity, that we now have professional sports played by athletes that only the deluded can believe are majoratively clean. The facts in cycling are quite evident. Time and again unbelievable performances have been exposed as cheating. Time and again commentators have failed to do their job in highlighting the failings of the UCI, of national cycling federations and failed too, utterly, in providing a platform for the cycling fan to express the doubts and disillusionment that so many of them feel. The riders have failed to find anything remotely like a coherent response to the doping in their ranks, which leads many to assume that many at the very least they tacitly condone chemical cheating. They join teams that are run by dopers without a murmur, then toss out their dummies when the UCI threatens, with its ferocious milk teeth bared, to ban their teams from competition. Management of teams, and yes here I go again, is run by people who either doped themselves or ran successful teams in the heady EPO days. And the fans? Well, we for so long have cheered against our best intentions, against our instincts, only to have our blind sycophancy shat on in the end. I didn’t sit down to write this kind of article, by the way, and I don’t know how I would react if I was commenting live on this year’s Giro, watching what we saw. If those guys were to say anything like I did above as Nibali stomped up the Sant'Anna di Vinadio hill, they’d surely be out of a job in a minute. But this is where we are and to deny it is folly. We have guys talking about the amazing efforts they are seeing by riders who have never tested positive and who for all we really know might be clean, they might just be that amazingly good, but to not mention the context in which the viewer at home is seeing it all is to ignore the ugly truth: many fans just watch these races for entertainment because they have been so humiliated for so many years that they do not know what to believe any more. Say what you will about moving on and giving them a break. Depends on what you want from sport: Entertainment charading as reality whereby no one but a fool can believe anything anymore, or something of value, of substance, something you’d be happy for your kids to take up, something you can be proud to be a part of. Pro cycling, still, is firmly residing in the former. Entertainment or something of value?